The University of California, San Diego has earned a “gold” sustainability-performance rating in the prestigious annual Sustainability Tracking Assessment and Rating System (STARS) survey. This year, the campus is one of seven colleges in California and is the only college in the San Diego region to achieve a STARS “gold” rating, which is in effect for three years. When UC San Diego participated in the survey in 2011, it was the first college or university in California to achieve gold. UC San Diego’s “gold” STARS rating is based on the campus’s performance in hundreds of measurements in three broad sustainability-focused categories: education and research, operations and planning, administration and engagement. STARS is based on concrete metrics of performance by participating institutions. 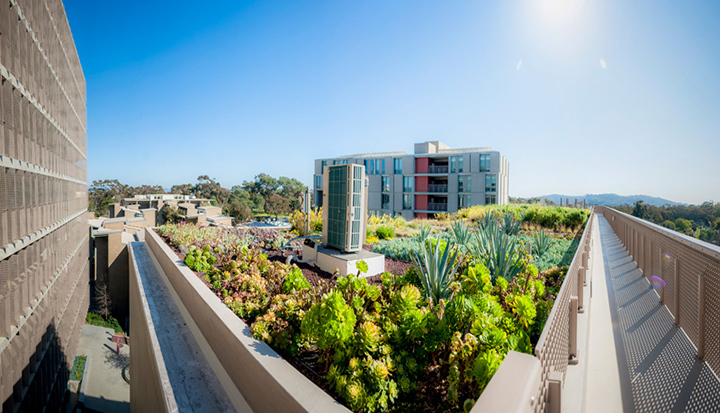 The survey gauged hundreds of factors on UC San Diego’s campus including its use of alternative transportation, water conservation efforts, energy efficiency, and “green” building accreditations, recycling levels, sustainable purchasing, number of student sustainability organizations and more. Administered by the Association for the Advancement of Sustainability in Higher Education (AASHE), the STARS survey was created with broad participation from the higher education community, according to AASHE. Of the 252 institutions that have registered for the STARS survey recently, 62 have achieved a bronze rating, 125 received silver and 45 attained gold. No college or university has yet achieved platinum. For more information on the STARS survey, go to: https://stars.aashe.org. 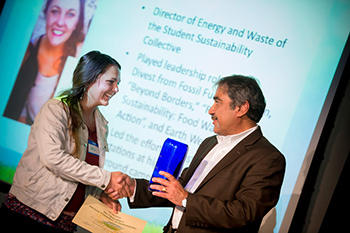 For more information on UC San Diego’s sustainability initiatives, go to: http://sustainability.ucsd.edu.